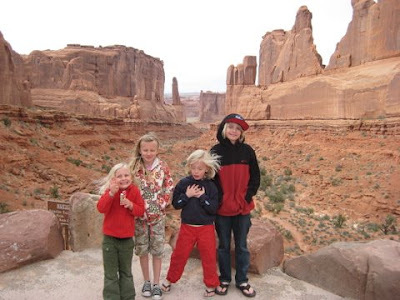 This is the first time since living in Utah that we have had a week for Spring Break. 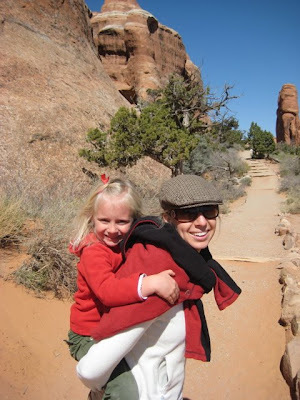 We took advantage of the time off from all activities and went to Moab, our favorite Utah destination. 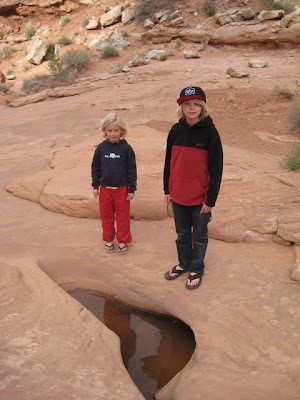 Since the kids are getting bigger we took more adventurous hikes and daring climbs in Arches. The three youngest cried only once and told Rich that they hated him when he boosted each on a ledge. 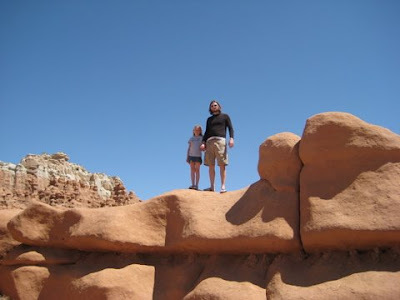 Paris said that she hated Goblin Valley because it was too scary, but really we all had a great time and are trying to figure when we'll be returning. We saw a hundred deer- the kids' count was 183, 10 pronghorn antelope and a bear (in Spanish Fork Canyon on our way home). 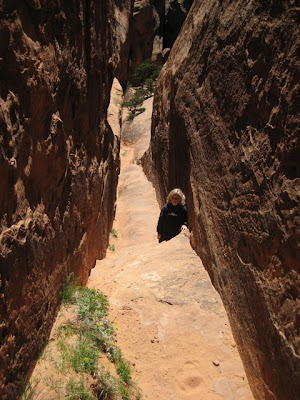 I think that Zion and Bryce Canyon are next before our National Park Pass expires. On one of the longer driving segments we had this conversation: Paris to me: "Mom, is Mickey Mouse real?" Emilia and Richard together: "yes, at Disneyland-you remember!" Paris screems:"NO- I am asking MOM" Me: No, he isn't a real person like you and me". Paris: "I know Mom, he is a mouse!" Duh! I was laughing too hard to say anything else. 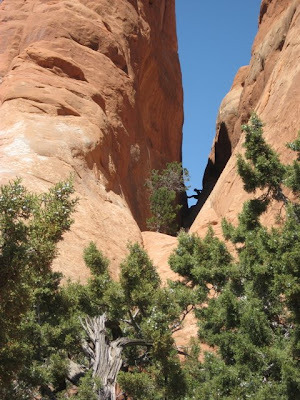 I love Moab too! That conversation is so funny and I love the way her little mind works and I love how assertive she is. She is rockin' cool. All of your kids are. Of course Mickey Mouse is real. Atlas is your little clone! Leif is growing up so fast! Mila and Paris are my girls! What wonderful pictures. They are all growing up so fast. I wish we could see you all more.